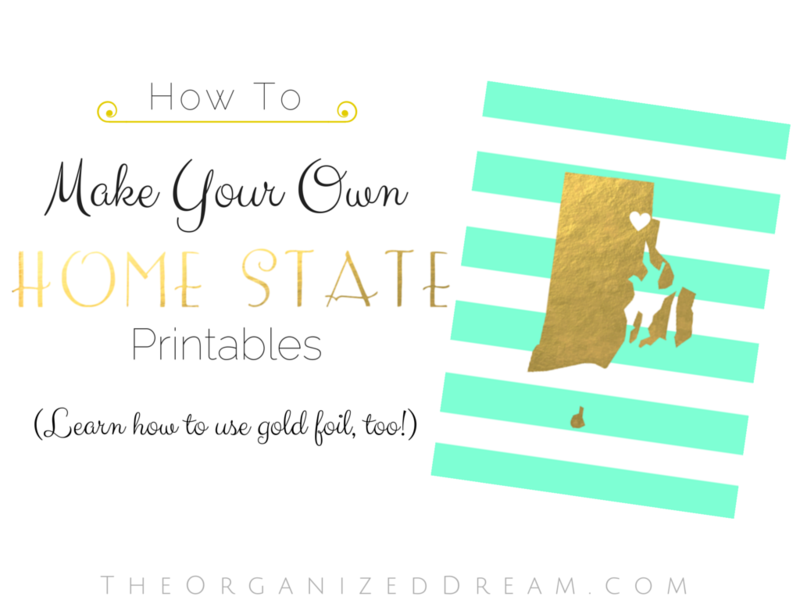 How To Make Your Own Home State Printables! First, start by opening an image in Canva. You can select the size of your image or chose your own. I made mine 8.5" x 11". This is the standard size of paper. Next, select the line to create your stripes. The arrows below indicate which one I chose to use. I sized it to fit and then evenly spaced them. 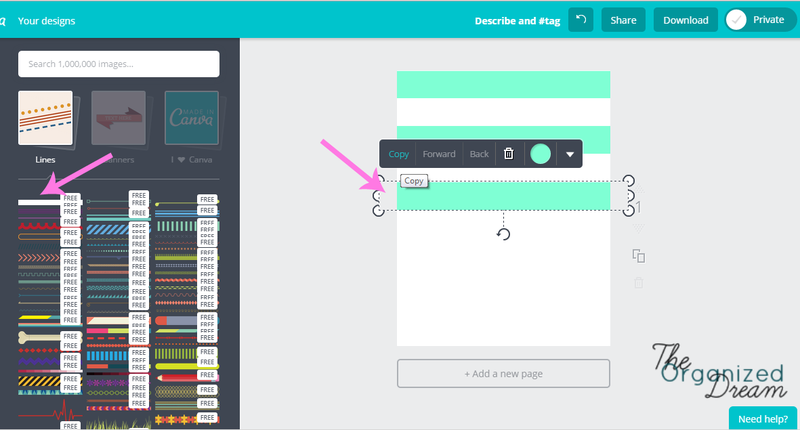 You can choose which color you want by using Canva's color wheel or typing in your own HTML color code. You can find a large selection of colors and their codes HERE. Really, any background will work. The best part of making your own is personalizing it just the way you want! 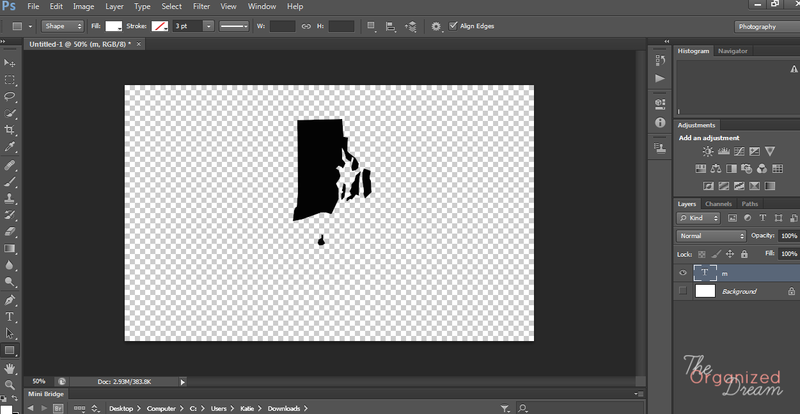 Using Photoshop, I typed the letter 'm' for my state and sized it. Using a gold foil image, I wrapped the text. You can find out how to do this and great gold foil images at The Modern Collective. There's an awesome video that shows the steps. After saving my image, I uploaded it to Canva and applied it to my stripes. 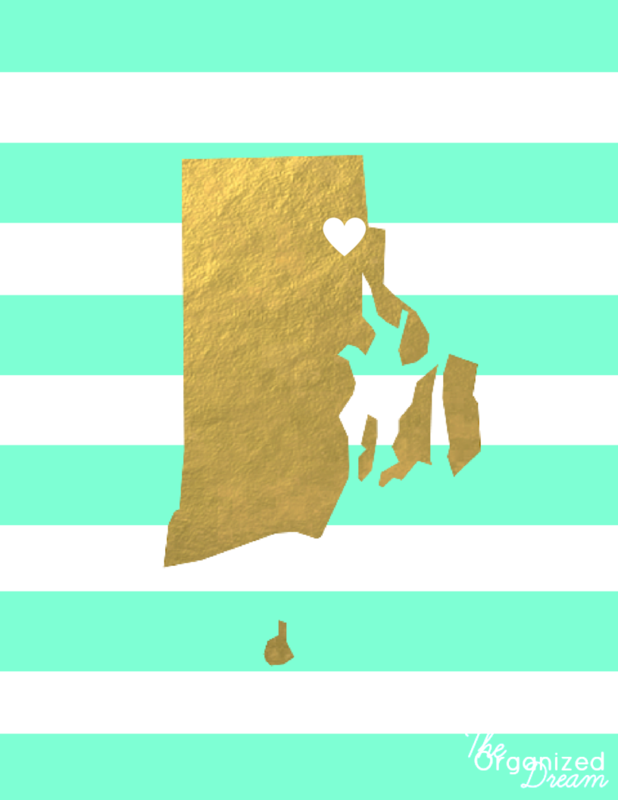 Using their heart shape, I simply placed it over my home city. Save your image in their PDF option and print.That's it! You can change the colors of the stripes to whatever you choose and use whatever pattern. I couldn't decide which I liked better so I did a couple of different colors. Not only did I save $20, I learned a few things so I can create other things, too! Visiting from http://www.andieconn.com/less-wear-spring-wardrobe-purging-closet-organization/ and would love a visit back. I will later on! Thanks for stopping by! This looks awesome! Thanks for the cool tutorial so we can all make our own! Thanks for the invite, Mila! I love the aqua one, so pretty! Thanks for linking up at Thursday Favorite Things, can't wait to see what you'll share next week! Awesome idea! I'll be featuring this post at the Merry Monday #45 linky party tonight on my site! Thanks for linking up! Great tutorial! I think the kids will love to try this. Thanks so much for sharing with us at Funtastic Friday.